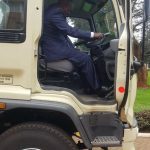 County Government of Nyeri recently acquired a new Garbage truck. 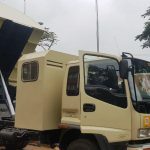 The truck was delivered to the county Headquarters on 26th July 2018. 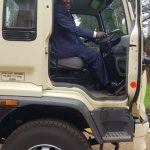 This newly acquired garbage truck / side loader will boost solid waste management in Nyeri. The county Government is dedicated to finding long term solutions for garbage menace that has earlier been witnessed in the county.